Back in October 2002 I was travelling around the United States. 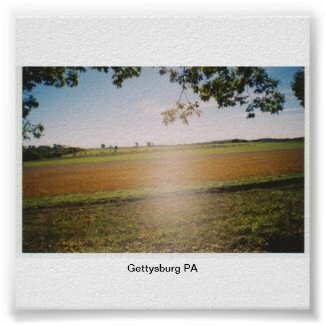 Being interested in history, especially the Civil War I could not miss a trip to the Gettysburg battlefield. So I took three days over the Columbus Day Holiday to visit the small Pennsyylvania town and walk over the battlefield. 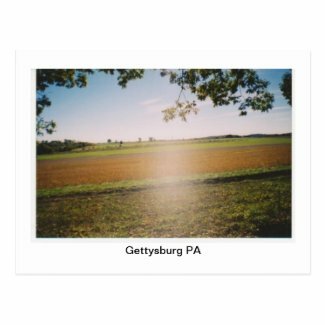 Photograph of the Gettysburg Battlefield. What the grey cloud is in the center of the photograph , is? I cannot definitely say. 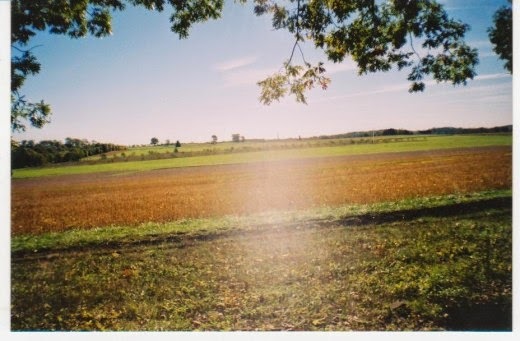 The ground beneath my feet was a burial pit for dozens if not hundreds of men who marched out of these trees on July 3rd, 1863 in a massive attack on the Union lines, the attack was later known as "Pickett's Charge" and A the high watermark of the Confederate bid for secession. Ghost hunters search for such proof of ghosts, search as they might in dark places, and as the clock strikes midnight. This ghost was walking the battlefield on a sunny fall afternoon. I have made this photograph into several items on zazzle. 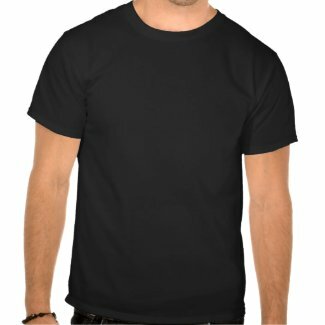 T-Shirts for all ages groups and sizes. I have also written a hub about the taking of this photograph. 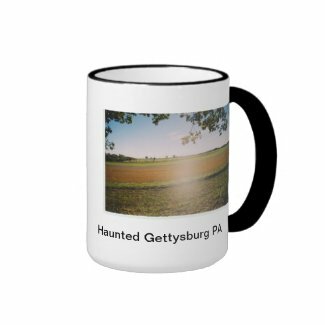 You can read the Hub :Gettysburg Ghost? Here.